The ANC has been advancing the narrative that the party established the Zondo commission of inquiry into state capture. This is a false narrative. The commission had been ordered in the remedial action of former public protector Thuli Madonsela in her report, State of Capture, which the courts found was binding. The commission was only appointed after former president Jacob Zuma ran out of legal routes to stop it. In September 2018 President Cyril Ramaphosa, when asked in the National Council of Provinces if he will appear before the commission, said he would do that "with a great deal of pleasure" if requested to do so, and then claimed it was the ANC that asked that a commission is set up. As the extent of state capture laid bare by the commission grows, and the election comes nearer, this unsubstantiated claim gets repeated more often. In January, former Cabinet member and current ANC elections head Fikile Mbalula appeared on eNCA saying he, too, would appear before the Zondo commission. He added: "The ANC has been brave enough to allow this [the commission] to happen." Earlier this month, ANC acting spokesperson Dakota Legoete said, in a statement welcoming the establishment of the investigative directorate in the office of the national director of public prosecutions: "The ANC called for the establishment of the Zondo commission in order to lay bare all forms of state capture and ensure that all those against whom evidence of criminality is found face the full might of the law." On Friday Ramaphosa was campaigning in Delft in the Western Cape, and when asked about state capture, had this to say: "Our view on state capture is we appointed the commission. It was the ANC that said there should be such a commission because it was the ANC that realised that corruption and state capture had set in and we felt that we needed to address this." Then on Sunday, the ANC's legislature and governance sub-committee said that the governing party counted the Zondo commission among its flagship projects to deal with the impact of state capture and to get those responsible for corruption and wrongdoing to pay for their deeds. "The ANC called for the establishment of the Zondo commission in order to lay bare all forms of state capture and ensure that all those against whom evidence of criminality is found face the full might of the law," the party said in its statement. Repeating a lie often enough doesn't make it true. The ANC did not establish the commission of inquiry into state capture. A political party certainly doesn't have the mandate to appoint a commission of inquiry. Only the president can establish a judicial commission of inquiry. 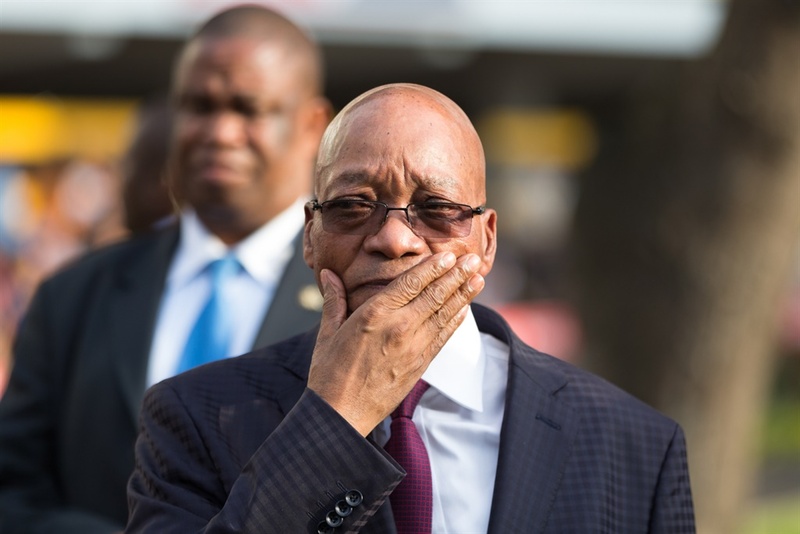 Former president Jacob Zuma, when his presidency was in its death throes, appointed the commission, after a long court battle left him with no other choice and the political vultures started circling around his head. In November 2016 Madonsela released a report called State of Capture after an investigation into the Guptas' influence over organs of state. The report was only released after Zuma withdrew his application to interdict the release of the report. "The President to appoint, within 30 days, a commission of inquiry headed by a judge solely selected by the Chief Justice who shall provide one name to the President." "The National Treasury to ensure that the commission is adequately resourced." "The judge to be given the power to appoint his/her own staff and to investigate all the issues using the record of this investigation and the report as a starting point." "The commission of inquiry to be given powers of evidence collection that are no less than that of the Public Protector." "The commission of inquiry to complete its task and to present the report with findings and recommendations to the President within 180 days. The President shall submit a copy with an indication of his/her intentions regarding the implementation to Parliament within 14 days of releasing the report." These remedial actions are binding – meaning it is not a case of "recommendations are recommendations", as Zuma infamously stated in Parliament. The landmark Constitutional Court ruling in the Nkandla matter put an end to the notion that the public protector's remedial actions are there for the executive to do with as it pleases. "In a unanimous judgment written by Mogoeng CJ, this Court held that the power of the Public Protector to take appropriate remedial action has legal effect and is binding. Therefore, neither the President nor the National Assembly is entitled to respond to the binding remedial action taken by the Public Protector as if it is of no force or effect, unless it has been set aside through a proper judicial process," reads the summary of the decision provided by the court on that fateful day in March 2016. The point is, the highest court in the country said the public protector's remedial actions are binding unless it is set aside by a court. This means it was not up to a political party to decide if it wants to establish a commission of inquiry, the president of the country HAD TO. Zuma, as was his wont, took the matter to the courts. In December 2017 in a scathing full bench judgment, the North Gauteng High Court found Madonsela's recommended remedial actions were wise, necessary, rational and appropriate and dismissed Zuma's application to set aside the remedial actions, reaffirming that the public protector's remedial actions are binding. Zuma unsuccessfully appealed the cost order handed down against him. Meanwhile, in May 2017, after an ANC NEC meeting, the party said it wanted a commission established but also that it wanted a review of the public protector's findings. At their conference in December 2017 at Nasrec, the ANC reaffirmed the NEC resolution and adopted a resolution that the establishment of a commission of inquiry into state capture must be expedited. Also at the conference, of course, Ramaphosa emerged victorious against the Zuma-acolytes and it soon became apparent that Zuma's grip on the Presidency was slipping. Then on January 9, 2018, on the eve of a crucial meeting of the ANC's NEC expected to discuss his recall – then still president Zuma announced the establishment of the commission, saying "the matter cannot wait any longer". "Pursuant to the investigation and remedial action of the Public Protector regarding complaints and allegations of the State of Capture, as well as the orders issued by the North Gauteng High Court in its judgment of 14 December 2017, I have decided to appoint a commission of inquiry," Zuma said in a statement. The ANC can thus claim that it pressurised Zuma into doing what he was constitutionally obliged to do. But it certainly can't claim to be responsible for the establishment of the commission. To do so illustrates pre-election disingenuity and the belief that its decisions carry more weight than rulings by the Constitutional Court – note Mbalula's statement that the ANC "allowed" the commission, quoted earlier.